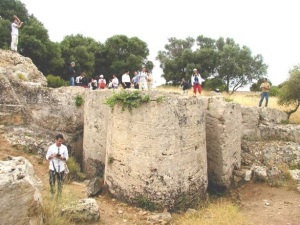 The Cave of Cusa rise to about 3 km from the town Campobello di Mazara and 12 km from Selinunte. Active since 600 BC Until 409 BC Were an inexhaustible mine of the raw material, which is indispensable to the construction of the city of Selinunte, including temples. Leave in full swing in 409 BC Because of the war against the Carthaginians, ended with the destruction of Selinunte , remained unchanged until today. Although not part of `archaeological area itself, the quarries from which the Selinuntini drew the materials of construction are very interesting things to see if only to the evocative beauty of the archaeological park that encompasses. 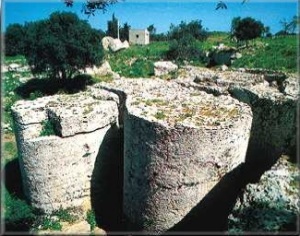 Olivi silver d `loss eye surrounding the great rocchi column left here for more than two thousand years. 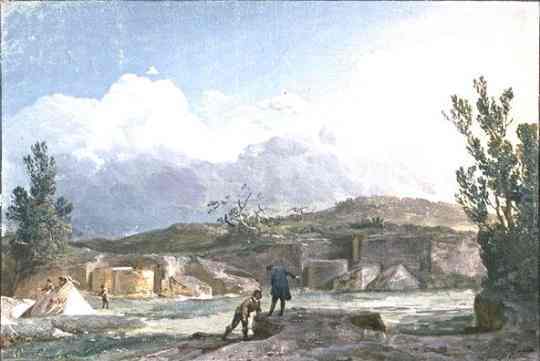 Some still attached to the rock, others already ready to be transported to Selinunte, rocchi imposing enact something mysterious, secret linked to the construction of temples. They were indeed left on the ground, ready or incomplete, or baked in various stages of processing, rocchi of columns, capitals, elements of architraves. The difference between the materials extracted from two quarries is the quality of tufa: friable and gialliccio color from the contrada Latomie; solid, compact and more pale color, from the Cave of Cusa.